Weaponization of Cyber Coins – The Next Attack Vector? 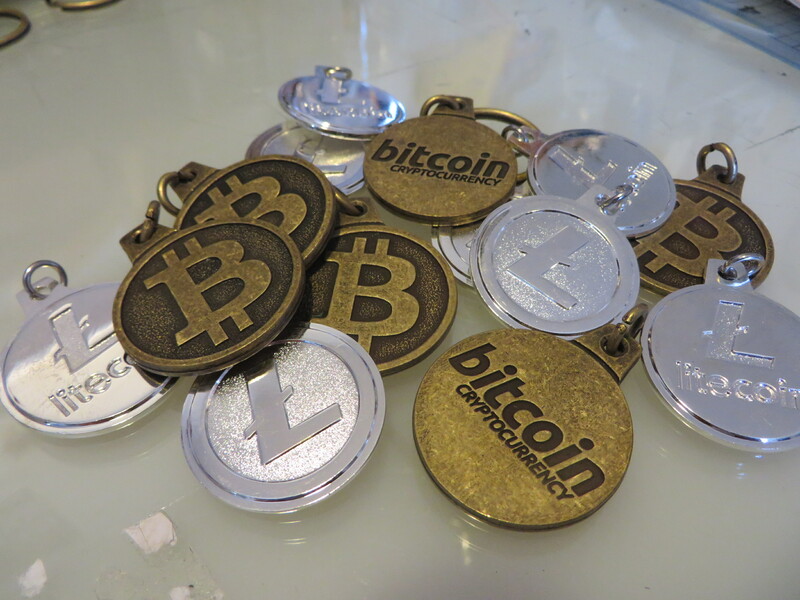 It’s getting kind of hard to ignore all the buzz surrounding bitcoins these days. The cryptocurrency, which allows users to convene peer-to-peer (P2P) monetary transactions with a significant degree of anonymity, has exploded in value, currently hovering around $900 per bitcoin, leading many to speculate about the long-term viability and implications of cryptocurrencies in general. However, lost amid the debate is serious discussion over the next logical step in the evolution of encrypted P2P currencies: the eventual weaponization of the cyber-coin. Bitcoin itself has already become a favorite among cyber-criminals. Whether laundering money, selling drugs (remember Silk Road?) or procuring the services of a hit man, the ability to anonymously carry out monetary transactions over the Internet has made online crime both easy and relatively risk free. This, and the fact that at least 2,600 stores accept bitcoins worldwide (as do the Sacremento Kings basketball team) according to Robert J. Samuelson of the Washington Post, has led to the massive inflation in Bitcoin’s value, and has attracted investors looking for an easy payday. Like any good idea, Bitcoin has also attracted numerous imitations, which have resulted in cryptocurrencies ranging from the very serious to the Bizarre. For example, Litecoin is a cryptocurrency almost identical to Bitcoin that purports to incorporate three main improvements over the Bitcoin software. In contrast, the Dogecoin plays off the popularity of the “Doge” meme, which was rated 2013’s meme of the year, while the Coinye cryptocurrency uses the likeness of rapper and pop-culture icon Kanye West to market its brand (West’s lawyers are still attempting to shut the coin down). According to Carlotte Lyton of the Daily Beast, there are at least 71 types of crypto currencies out there, some of which are suspiciously reminiscent of the old Wall Street pump-and-dump scheme. Enter Allahcoin. This P2P Islamic currency offers similar software to Bitcoin, but with a couple of modifications. One new feature is that for every Allahcoin mined, 10% will be donated to the Muslim Brotherhood foundation. This coin not only offers a brand new cryptocurrency, but an easy and anonymous way for users to donate to their favorite Islamist organization! The Muslim Brotherhood does not fit the traditional definition of a terrorist organization. However, it may not be long before jihadist groups with ties to the Brotherhood, or similar-minded groups, catch on to the advantages of the nascent crytocurrency technology. Although, like criminals, fundraising and money laundering are the most obvious benefits for such groups, it is possible that terrorists could one day weaponize their own crypto currency. How would a weaponized cryptocurrency work? It is hard to say exactly, but current abuses of alternative cryptocurrencies may hint at an answer. For instance, some currencies are designed suspiciously similar to pump-and-dump schemes. An attacker could disperse a virus-laced currency in an identical fashion at the investment scheme’s pump phase. After sufficiently spreading the currency, the attacker could activate a trigger, spreading a virus through users’ virtual wallets. Depending on the type of attack, the virus could expose users’ identities, neutralize their virtual wallets, rip off their accounts, or steal information from their networks. In a worst case scenario, terrorists may target tech contractors and infect their computers and online accounts via the currency, thus increasing the possibility of the virus transferring to their clients’ networks (similar to how the Stuxnet virus may have been transferred to an Iranian nuclear facility, according to Ralph Langner writing in Foreign Policy). Just as P2P file sharing through software such as Limewire and eMule eventually became natural habitats for the spread of viruses, it is likely that cryptocurrencies will one day be weaponized. The question is not if, but when the first attacks will occur, who will be behind them, and how much damage will they cause. 1 Comment Weaponization of Cyber Coins – The Next Attack Vector?